Case Study Part 3: Tips – Showing-Up Consistently ~ It Works! Last week, in Part 2, I shared two recent success stories that were a direct result of my social media presence. In this last part of the “Showing-Up Consistently ~ It Works!” series of blog posts, I’d like to share a few tips I’ve discovered along the way. I do not live by a schedule. However, I aim to consistently post at least 5-8 times a week – sometimes more, sometimes less. In addition to my images, I also post relevant articles. Interestingly, people have told me that they appreciate these articles. 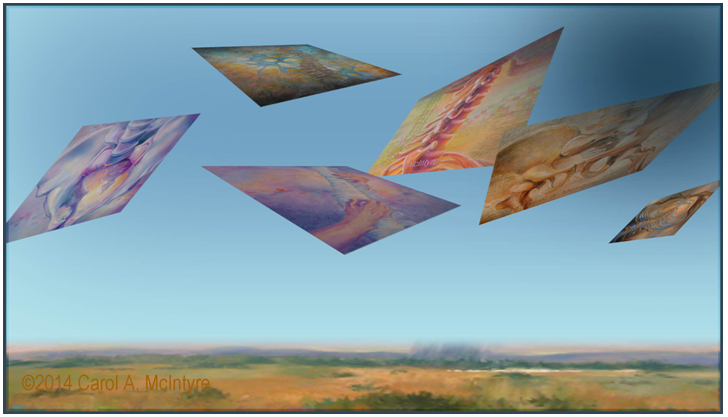 Whenever I post an image of one of my paintings, I always ask a question about the work to encourage engagement. I cringe when I see artists asking questions like that. Besides, any answer to one of these toss-off questions will not help you develop deeper relationships, or give you useful information. Instead, if I am trying to evoke mystery, then I ask if they sense the mystery or not, and where? If I am struggling with a composition or color problem, I solicit their input. Comments I receive from these questions are welcomed and provide valuable insights. I love hearing how people respond to my work and I adore learning about their perspectives. It spurs me on. Could this kind of social media engagement facilitate or enhance me consistently showing up? I don’t know precisely, but I have faith that it does. Questions provide another way for people to remember my work and me. They have to stop for an extra second or two to consider their answer to my question even if they do not leave a comment. I also believe in the power of the network. Every connection we make has the potential of introducing us to potentially 200+ more people. They can also become our “word of mouth” or “word of text” fans. Remember that local art center director who first saw me on Facebook, which led to me getting into a two-person show this spring? Well, while I was in a meeting with that art center’s staff to discuss the 2015 show, they mentioned that both of us in the show received extra ‘credit’ during their jurying process because we are involved in various online social media platforms. Now if that doesn’t make you sit up and get serious about showing up consistently on Facebook, and Twitter, and Instagram, and… ??? – I don’t know what would! This art center, and I’m betting more and more visual art venues, wants its exhibiting artists to have the ability and willingness to market the show online. The ambiguity of posting – who is noticing or who cares? – can cause us to doubt the time and effort we are spending. From my experience, however, I can say with some certainty that it is essential. Being consistently active online, over a long period of time is invaluable to the success of your art career! Where have you been consistently showing-up? And has this led to success or frustration? This is a conversation we really need to have! Lots to think about. I loved the introductory session with you, Ariane, and have been telling lots of friends about it. Also, since then, I have been thinking a lot about my “artist statement”, why I do art, who I am as an artist. Powerful stuff! Thanks!!!! I’m de-light-ed that the work we did together was helpful. 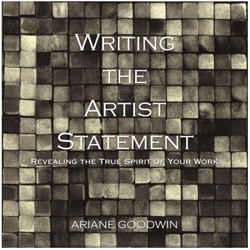 Yes, the artist statement is a deep tool for getting to the foundation of what makes you tick as an artist. I also recommend getting clear on your artist identity before tackling your artist statement (thus the Artist Identity Discovery Package I’ve created above). If “those friends” are also artists, and if they sign up to be on my list, they too can come to one of my Live Group Coaching calls. 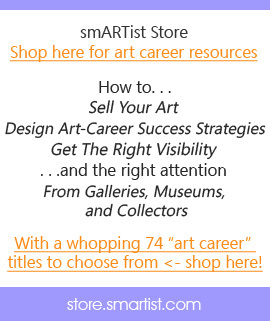 Grabbing a copy of my “Manifesto for Artists Who Want to Sell More Art” on the home pg of this blog will put them on that list. Looking forward to our Soul-to-Soul Conversation!